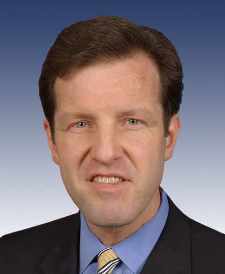 Russ Carnahan or Dennis Kucinich in MO’s 2nd District? If Carnahan won’t, how about Kucinich? There’s been much speculation about possible Republican and Democratic nominees in Missouri’s newly configured 2nd District. Republicans seem to have a beacon always pointed to the furthest right position possible. Of the three announced Republican candidates, neither Ed Martin nor Jane Cunningham seems vulnerable to letting empathy or logic get in the way of their doctrinaire right-wing positions. The third candidate, Ann Wagner, may be more to the center, or maybe not. In any event, she is more adroit at making it appear that she has some familiarity with mainstream Republicanism that was the hallmark of the 2nd District back as the Tom Curtis years (1951-1969). By all rights, Russ Carnahan should be the Democratic nominee. He has served in Congress, has name recognition and needs a district from which to run, because the 3rd District that he currently represents has been dissolved through reapportionment. 1. Maybe he’s truly a change agent and recognizes that campaigns are far too long. I have discussed this in other blog postings as well as my own campaign in the 2nd District in 2010. I advocated six-week long campaigns, as in the British system. I did not meet that goal; mine was six months long. If Russ wants to operate a six-month campaign, that’s still a 75% reduction of the time of most other candidates. Kudos to him. 2. The redistricting process was obviously frustrating to Russ. He is currently one of three Democratic representatives from Missouri. Both Lacy Clay in St. Louis and Emanuel Cleaver in Kansas City have protection from the Civil Rights Voting Act of 1968 which forbids the elimination of “minority majority” districts. So long as redistricting is political rather than mathematical, this policy should not change. But it puts a non-minority candidate such as Russ in a difficult position. Let’s cut him some slack and understand that he had reason to vent about the whole redistricting process. However, he directed particularly nasty comments toward both Clay and Cleaver. Apologies are in order. To every extent possible, make them both sound and be sincere. 3. There has been talk that Russ wants to run for Missouri Lieutenant-Governor. As Peter Kinder has vividly demonstrated, it’s a job with virtually nothing to do. In a more positive light, it’s a place-holder before running for governor. Maybe that is what Russ wants to do, but right now why not run for Congress in the 2nd District, and if that doesn’t work, then he’d still have six years to figure out a way to succeed Jay Nixon as governor. If Russ can’t make up his mind or does have it made up but he’s playing coy, then we have a wonderful wild card opportunity. Welcome to Missouri, Dennis Kucinich. Dennis was squeezed out of his Cleveland district with far less of a chance to find another district in his home state than Russ has in Missouri. Along with Vermont Senator Bernie Sanders, and members of the Black Caucus, Dennis Kucinich has been the finest progressive representative that we have in Congress. He desperately wants to stay in Congress. Even if there is a bit of hubris in his desire, it would be legal for him to move to Missouri and run in the 2nd District. He’s a free agent, eligible to run wherever he likes. St. Louis is owne something from Cleveland. The Cardinals sent bona fide closer Chris Perez to Cleveland for Mark DeRosa, a terrific player and clubhouse presence, but he was injured; in essence damaged goods. 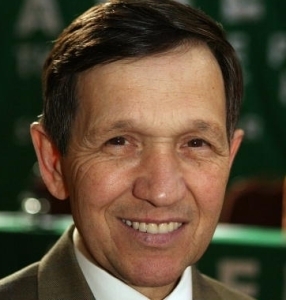 So like basketball star LeBron James, Kucinich could “take his talents south from Cleveland.” Let’s take Dennis Kucinich for the 2nd District as compensation. Could you imagine the fun of an experienced, skilled progressive such as Dennis Kucinich taking on Ed Martin, Jane Cunningham, or Ann Wagner? We’ve learned from the special election in New York’s 26th Congressional District that no safe Republican district is really safe if the Democrats field a good candidate and the Republicans try to defend the Paul Ryan budget debacle. When I ran in 2010, I was the most recent in a string of Democratic candidates with low name recognition. I believe that a Democrat who is a household name would have an excellent chance in the 2nd District, especially as it is reconfigured. Republicans have done a wonderful job convincing most Democrats as well as members of the media that Missouri in general, and the 2nd District in particular, are red. And how does Dennis win? By being an unapologetic progressive and beating the Republicans at their own game. I’m not talking about dirty tricks. I’m talking about certain policy goals. Republicans want to reduce annual budget deficits and eventually the national debt. Dennis could push for three things: (a) get out of Iraq and Afghanistan post haste, (2) reinstate the taxes for the very wealthy that George Bush and gullible Democrats enacted, (3) support Medicare for All, which drastically cuts health care costs by eliminating parasitic profits by health insurance companies. Bingo, we’re back to responsible budgeting and also have a better quality of life. He could also get government further out of our lives than Republicans could imagine by enthusiastically and articulately presenting the arguments to keep the government out of our bedrooms and other places where they don’t belong. Dennis could show Ed, Jane, and Ann what a real conservative is like. If he wanted, he could even call himself a conservative and show that the true meaning of conservatism is conserving the advances that we have made through institutionalizing progressive policies in previous decades. It’s not for either me or Occasional Planet to endorse candidates. But we can observe and offer advice. In a nutshell, I would advise Russ Carnahan that if that he wants to stay in Congress, he should jump into the race and make amends with others ASAP. If he doesn’t, let’s have Missouri claim Dennis Kucinich on waivers. How refreshing it would be to have the talk of the 2nd District be about Democrats.